How is March going for all of you? The theme for this year is completion. Have you taken steps to complete 3 things for this year? Every year in March, around my son's birthday, I get sad that my son is not with his dad and that we did not turn out to be the perfect Latino family (although my son has the best step-dad in the world, to whom I am eternally grateful). I realize it is not just my disappointment for myself, but also for my son and my fantasy for both of us. It is normal to have these feelings, and human beings always focus on the one thing that isn't right, versus being grateful for the thousands of blessings that exist in our lives. This is where my psychology degree has really helped. We have to reframe those pains and disappointments into the thing that is taking you to where you need to go. You need to be and are your own Prince Charming - You can make yourself Happy! You can turn that pain into a business and into becoming "Self Made" and "realizada". 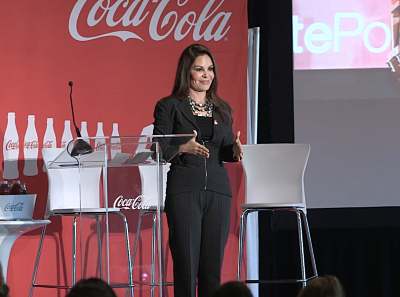 Watch my talk about reframing your pain about men into happiness at Hispanicize last week. I know that once you understand this deeply, your life will shift forever more. If you want to chat about this, or anything else on your road to completion, join our Adelante live twitter party today, March 31st from 9-10pm EST / 6-7pm PST. Join us via the hashtag #LatinaPower. I will be there answering your questions.